On October 20th, student participants in the MIT@Lawrence practicum hosted their first public meeting in Lawrence, Massachusetts. 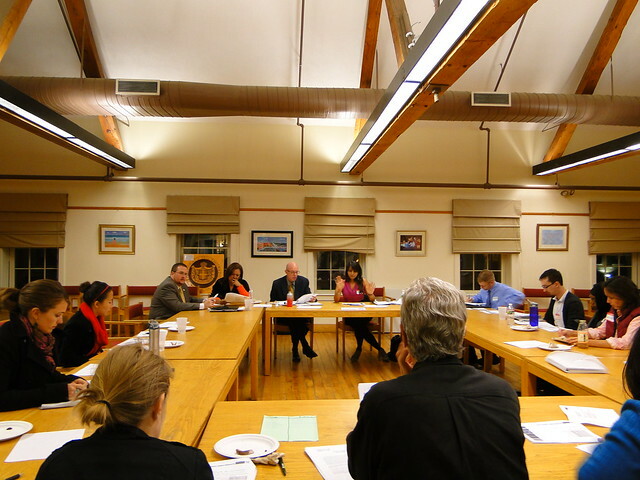 Numerous community partners attended, including representatives from city government (Economic Development, Community Development, Planning and Development, and Police) and non-profit organizations such as Lawrence CommunityWorks. • engaging 8th grade students from the Lawrence Family Development Charter School by facilitating the production of public service announcements aimed at raising awareness. • interviews reveal that since the implementation of the ordinance there has been a decrease in the types of criminal activity associated with vacant/abandoned properties (arson, theft, vandalism, and drug dealing). Please post a response on this blog or contact lawrence2010@mit.edu with questions, comments, or suggestions. Post by Lorlene Hoyt, Polina Bakhteiarov, and Jeffrey Juarez.